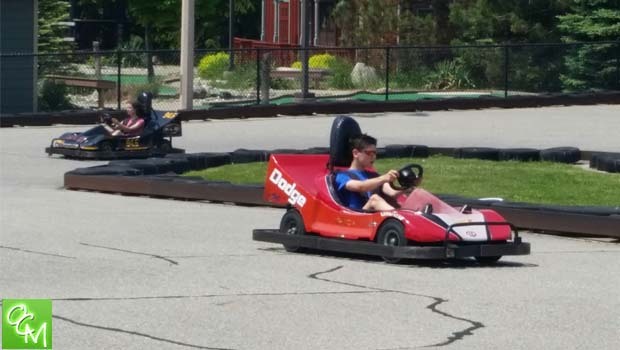 Sportway Waterford Go Kart City Coupon – save money this summer on Go Kart Racing, Putt Putt Golf, Batting Cages, even Eurobungy courtesy of Waterford Sportway and Oakland County Moms! From now through the end of the 2019 season, but 2 events and get one FREE! – OR – Take 10% off all wristbands with a minimum of 3 purchased, this translates to $2 off each event (Go Kart, Putt Putt, Batting Cages, or Eurobungy) making it $18 for 5 events! or the awesome wristband deal – 10% off! This coupon is good for the summer of 2019 season. To redeem this Sportway Waterford Go Kart City Coupon, simply print this page and take it to Sportway Go Kart City OR show the attendant this page on your phone to receive the discount! Sportway in Waterford is a great family destination. Pricing is more reasonable than you’d find at other similar destinations, and there’s so much to do for everyone.